Newly licensed drivers may think they know all the rules of the road, but do they know how to properly maintain a car? Owning a vehicle is a lot of responsibility, and teen drivers may be virtually clueless when it comes to keeping up with safety checks and car maintenance. What these young drivers may also be unaware of is the effect of vehicle maintenance on their risks of being involved in a car accident in Massachusetts. With proper car care, there are a number of dangerous scenarios that can be avoided, including brake failure and blown out tires. Both of these scenarios are extremely dangerous and can cause serious injury, but they are also preventable. Our Boston teen car accident attorneys understand how important it is to perform frequent checkups to your vehicle. Parents are urged not only to discuss with teen drivers the importance of this safety precaution but also to help them to perform a few car safety checks. Build them up to where they can start performing these checks on their own. These lifelong habits will help to greatly reduce their risks of an accident on our roadways. -More than 95 percent of parents said that if there was information online that could help their teen to repair a vehicle, they would encourage their teen driver to use it. -More than 60 percent of teens believe that it’s extremely important for young drivers to be educated about the major and important parts of a car. -Roughly 80 percent of parents believe that teens will turn to parents to learn about vehicle repair and maintenance. Only 6 percent said that their teen would probably learn car repair and maintenance information from a driver’s education course. According to the National Organizations for Youth Safety, there are a few simple ways that you can get your child to take interest in car maintenance. The organization has provided this back-to-school car care checklist to help them to get started on the right path to keeping a properly maintained vehicle. -The importance of reviewing the vehicle’s owner’s manual to learn what the lights and gauges mean. 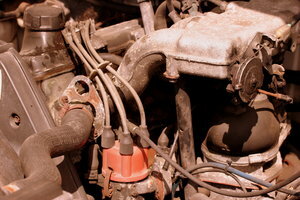 -The importance of keeping an eye on fluid levels under the hood. Parents should also teach their teen driver how to check the battery. -How to listen for abnormal noises coming from underneath the hood. Know when to have the car checked out by a professional mechanic. -How often and how to check the tire pressure. Urge them to check the tires each month. Be sure that your child keeps a jack and a lug wrench in the trunk just in case there’s ever a flat tire. -Keep garbage out of the car so that nothing will interfere with the accelerator or brake pedals. Parents are urged to keep safe driving habits and vehicle maintenance checks as frequent topics of conversation at home. Get out there are help get your kid started on maintaining a safe vehicle! If you or someone you love has been involved in a car accident in Massachusetts, contact the car accident lawyers at The Law Offices of Jeffrey S. Glassman for a free and confidential consultation to discuss your rights. Call 877-617-5333.